Instead of messing with plastic baggies, paper lunch sacks, and a big time-consuming mess – invest in a quality lunch container. These little gems come with convenient compartments, snap-on lids, and some models are even spill-proof. Here are a few of our favorites that will make lunch prep, and your life, a little easier. It’s five minutes before the school bus arrives, and you just realized you haven’t packed your kids’ lunches. We know the feeling. Instead of messing with plastic baggies, paper lunch sacks, and a big time-consuming mess – invest in a quality lunch container. 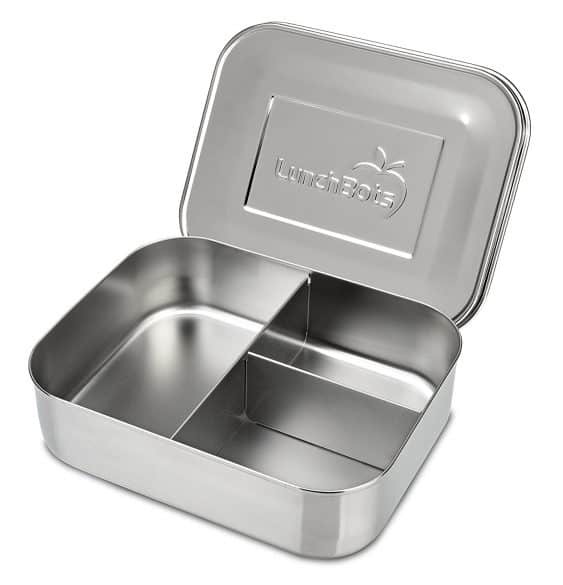 These little gems come with convenient compartments, snap-on lids, and some models are even spill-proof. Here are a few of our favorites that will make lunch prep, and your life, a little easier. 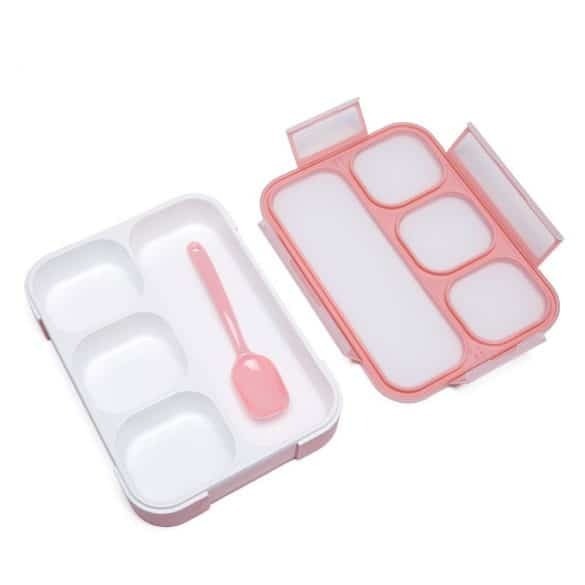 This Bento Box comes with four containers and a built-in spoon. 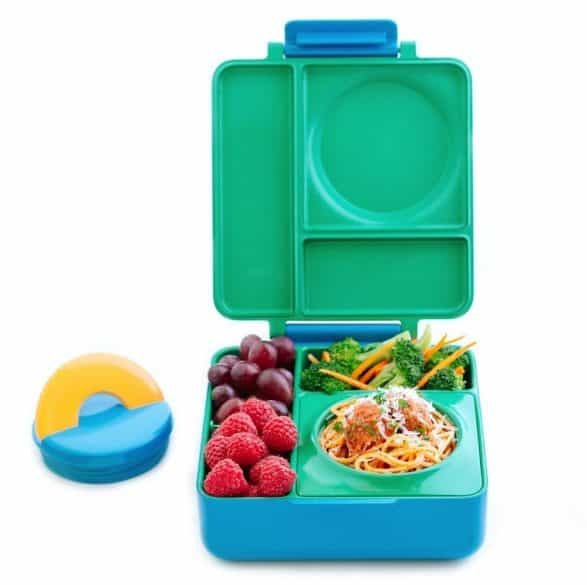 It’s the perfect size for a child’s lunch portions and is made with BPA-free plastic and silicone. 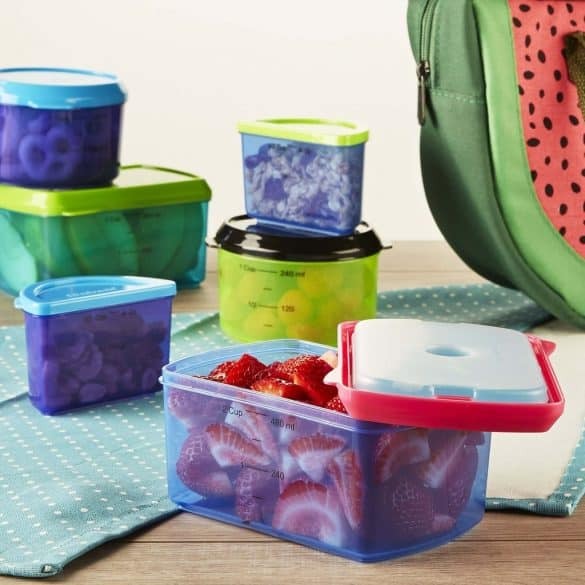 Plus each compartment is leak-proof, to avoid any foods mixing together. Did we mention it’s dishwasher, freezer, and microwave safe? This little owl box may not be as big or sturdy as some of the other options – but could it be any cuter? 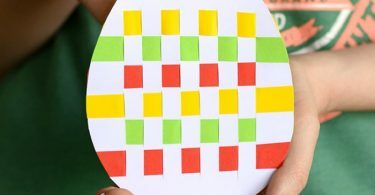 We think it’s great for a preschool age or kindergartener, and you can’t beat the price. 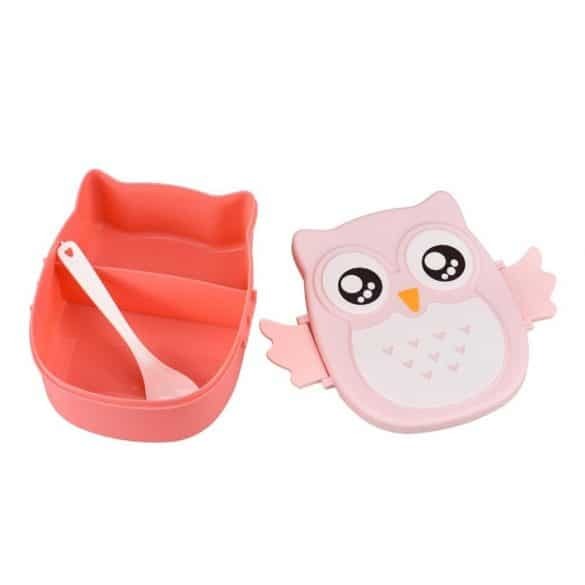 It features two compartments, comes with a spoon, and is available in a variety of pastel colors. We want one of each! If you send your kids to school with food that should be kept warm or hot – the OmieBox is a great option. The cost is on the pricier side, but it features a stainless steel vacuum insulated thermos for warm foods. Plus double walled insulated compartments to keep the other foods (like fruits and veggies) nice a cool. 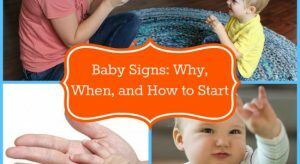 If you have more than one school-age kid, you’re probably looking for something affordable and durable. 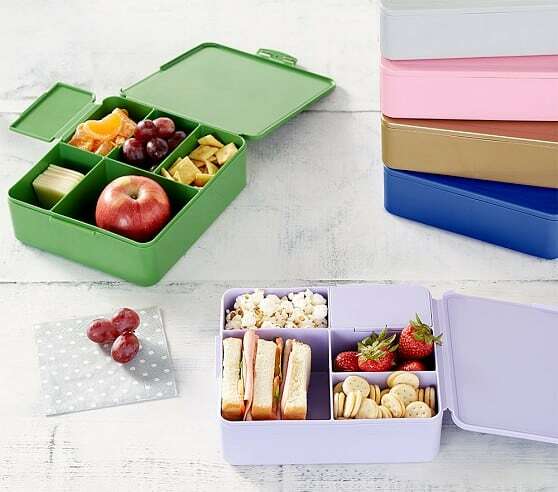 These reusable boxes come in a pack of four, and will only cost you $13. 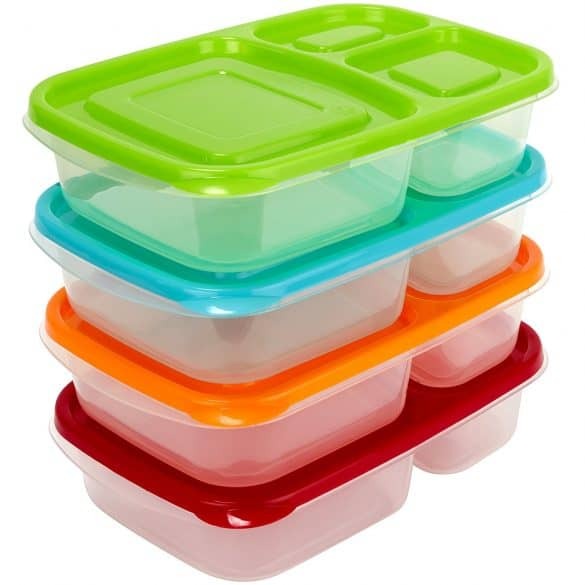 Use a different colored lid for each child. And the boxes feature a stackable design, so you can conveniently store them in the fridge the night before without taking up too much space. 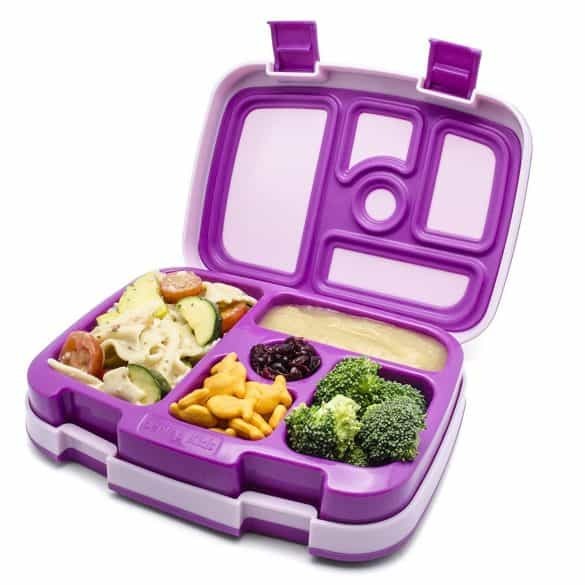 This 14-piece Lunch Container Value Set is great for multiple kids. Combine different sizes in your child’s lunch box to meet their needs. The selling point on these particular containers is they have a removable ice pack that snaps right into the lid. If plastic isn’t your thing, this stainless steel option might be more up your alley. 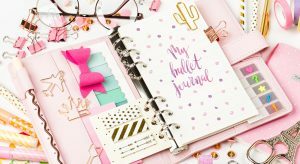 It features three compartments and is virtually indestructible. Just keep in mind the compartments are not leak proof, and are better used for dry foods. This lunch box from IKEA is super affordable and versatile. 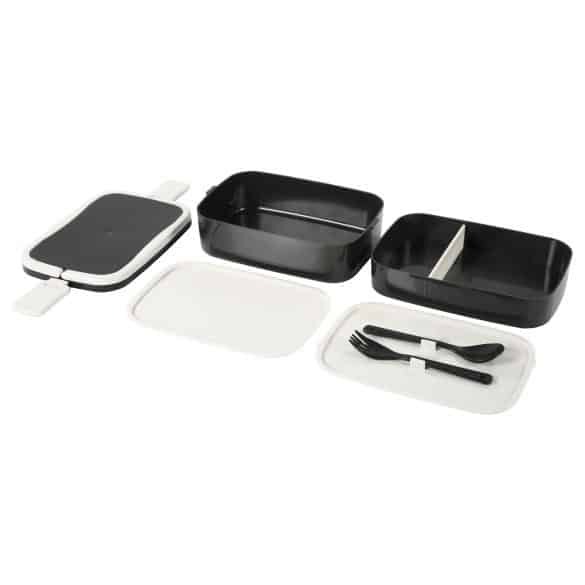 We love the stackable design allowing for even more compartments. This would be a great option for older kids and teenagers because it holds more foods, and may have too many parts for little ones to keep track of. This lunch box is as sturdy as they come. It features five separate leak-proof containers, drop-proof rubber-coated edges and two kid-friendly latches. We love the little circular compartment perfect for dips! This option from Pottery Barn comes in several designer colors, one for each child! It has five compartments, one with its own lid. 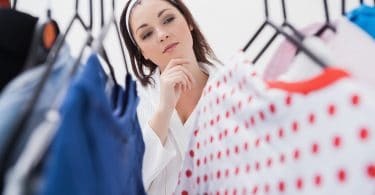 The flat square design is sleek and stylish.